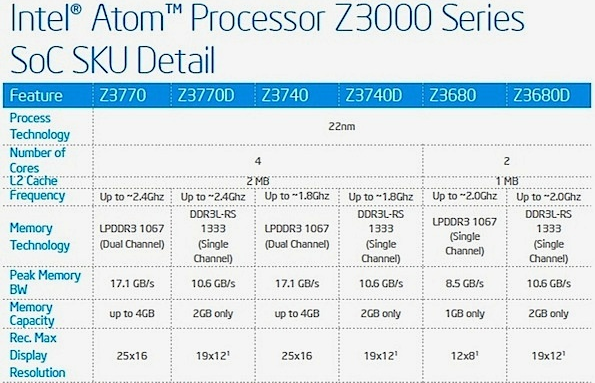 At its “India Retail Innovation & Technology Tour” Intel specified that it will be soon unveiling Bay Trail Soc and today Intel has introduced their Atom Z300 Series SoC for tablets and Hybrids at IDF 2013. This chipset is based on Silvermont architecture which is very efficient with regards to power consumption and Power sharing. These 22 nm processors have been designed to support both Android and Windows platform and are based on X86 Architecture. The devices running on this chipset will have more than 10 hours of active battery life and three weeks of standby. 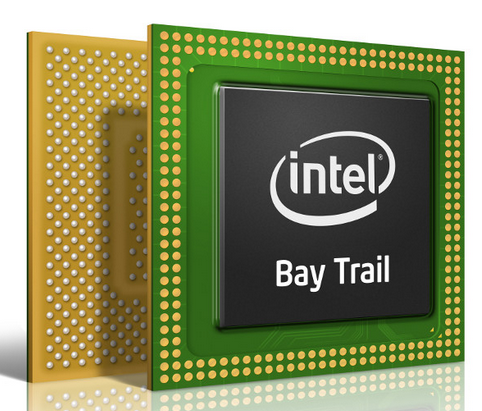 These processors come with 4 cores, 4 threads, 2 MB of L2 cache memory and Burst 2.0 technology. To further aid your Gaming Intel has provided with Intel HD Graphics Technology with Intel Clear Video HD Technology. These processors will support 2560 x 1600 resolution displays apart from dual independent displays, Intel Quick Synch Video and Intel Wireless Display. Other features include support for Intel Wireless Display, Miracast and Microsoft Instant Go along with Windows Pro features like Domain Join and Group Policy. “This is the first major revamp of the Atom architecture in five years. We’re able to bring our leading-edge 22-nanometer technology. 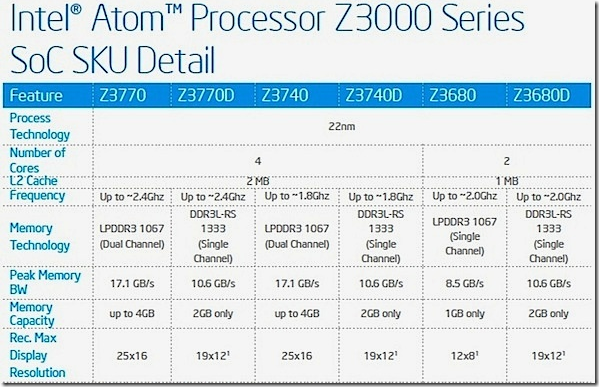 So those 3D transistors provide the foundation for increased performance and the HD graphics,” said Chris Walker, general manager for tablets in Intel’s Mobile and Communications Group “All of this adds up to a twofold to threefold performance boost over the current “Clover Trail” Atom” He added. This new line of processors will feature Intel’s peace of mind technology like more robust security engine and support for McAfee DeepSAFE, Intel’s identity protection technology and Intel’s platform trust technology. Intel will also release a 64 bit SoC in this series and we will soon see devices powered by this Soc in fourth quarter, from manufacturers like Acer, Asus, Dell, Lenovo, and Toshiba, with price tags starting from $199 only.